Discovering an unknown land filled with humanity and history. It was a wonderfully sunny day when Loshi walked tentatively over the quayside of the Port of Valona. The harbour was a swarm of people, cars and boats, some travelling up and some travelling down and some simply loading. “Hey, Loshi, are you coming? Jump on, we’re about to leave.” “But c’mon Tani, where to? I have to go home, my wife and children are waiting for me … “. “But come on, you will return later. “And that was how Ilmi Mustafa, also known as Loshi, jumped on Tani’s boat heading to Italy, but instead of returning the following evening, he did not return for almost twenty years. It was the 7th March, 1991 and on that day, aboard boats of all kinds, 27,000 migrants arrived at the port of Brindisi, a human tide that during forty years of isolation had been overlooked by the world. Almost like caged animals, they did not hesitate when faced with the doors that had been opened by the dissolution of the Hoxa regime. Now, they were facing the sea waiting to find out whether the world of dreams and glitter, as depicted on Italian television, was actually real. Forty years of isolation from the world. Economic, cultural and human isolation that only today, on the eve of the country’s entry into Europe, is about to be overcome by Albania. That is why, in identifying a country that is so exceptional in respect of its history and its peoples, it seemed to be the right time to take a journey to discover Albania, the Eagle’s Earth, as Albanians refer to themselves as “Eagles” (shqiponjë). A name that is reminiscent of distant legends and the banners of Skandeberg, the same two-headed eagle on a red background that still constitutes the Albanian flag, perhaps the flag with the oldest history amongst modern European states. 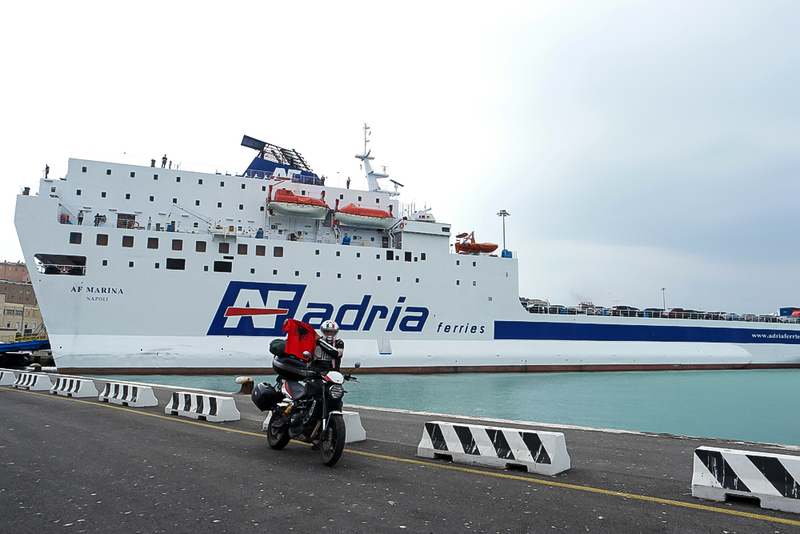 Departing from Ancona, we land in Durres early in the morning after a night spent lazing around in the cabins of an Adria Ferries vessel, the shipping company that from Ancona, Bari and Trieste travels directly to Albania. Taking the four-lane road that runs through the country, the journey to Tirana is no more than 34km away, but at Vlorë, we turn to Kruje on the SH1. 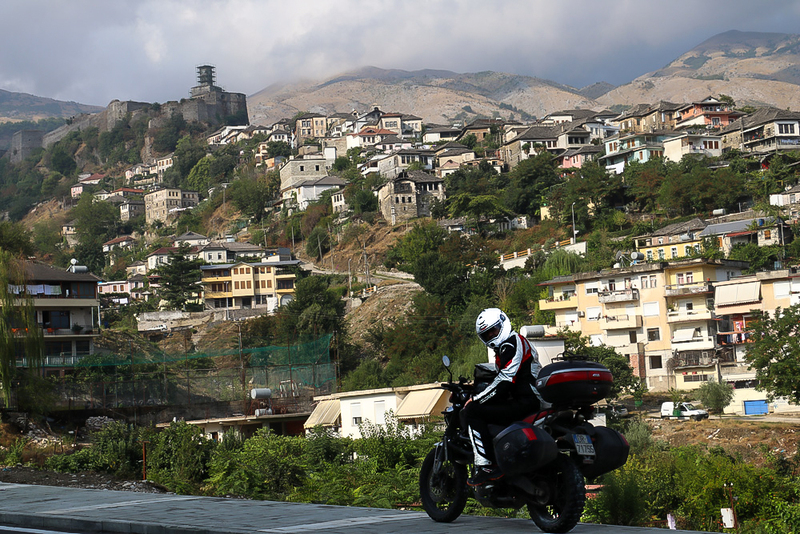 For strong symbolic significance, Kruje represents the best place to begin our journey. 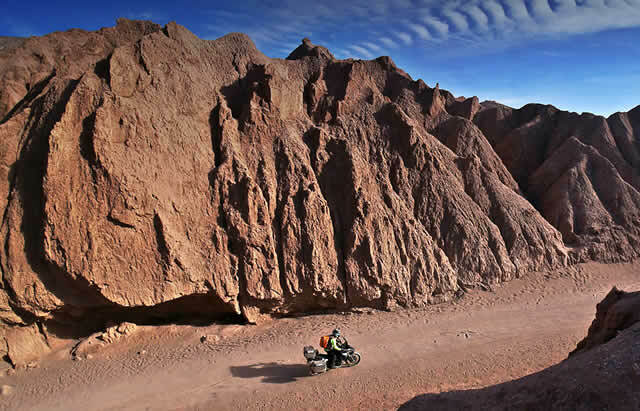 Discovering this rugged and savage terrain immediately hits the senses with its smells, colours and flavours. We begin to climb and from a distance, the profile of Skanderbeg’s old fortress can be seen. Skanderberg is the leader who, in the mid-1900’s, was the emblem of Albanian pride and the revolt against Turkish advances. For this role, Giorgio Castriot, known as Skanderberg, remains to this day the symbol of national identity and Kruje is the location that best represents the will to redeem people who never resigned to history. We leave the city, the ruins of the ancient castle, the mausoleum that tells the story of the past and the ancient bazaar, which today has become a very pleasant walk amongst souvenir-filled shops. We head straight to Tirana, where we meet Durim, a local, who will guide us through what will prove to be a magical journey but one which initially made us a little hesitant. 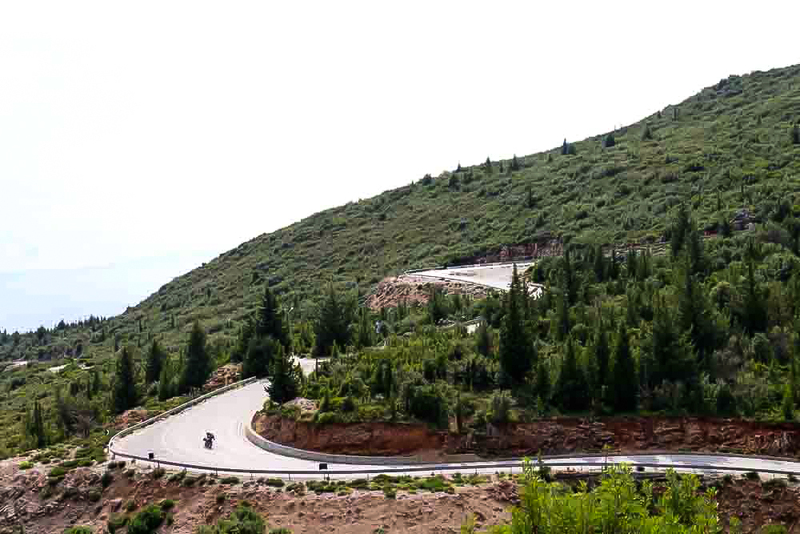 The avenues of Tirana swallow us from the periphery in the noon traffic and it is with relief that at the end of the visit, we take the new ring road to head out of the city towards the freedom of the mountains. 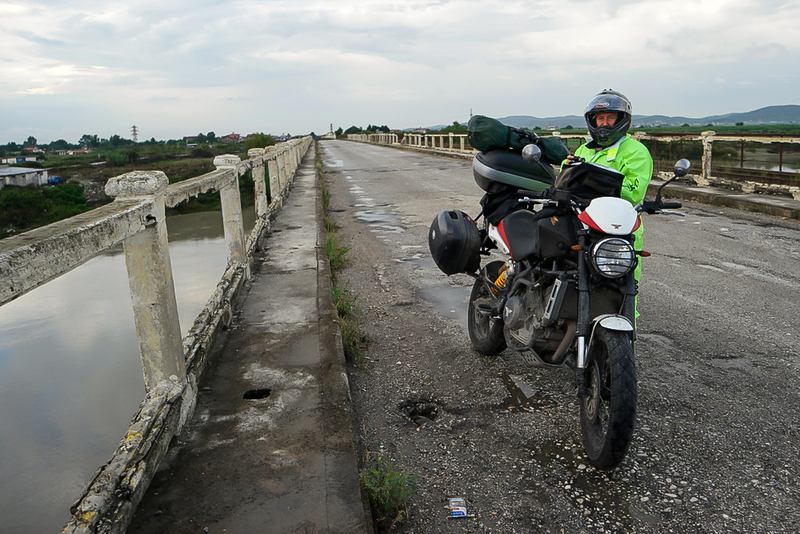 Tirana to Elbasan and then to Lushnja to reach, after about 40 Km, Berat on the SH74. Berat is a mythical place capable of going straight to one’s soul, since over time it has been able to retain intact its historical identity. For this reason, in order to be an exceptional legacy of Ottoman Islamic tradition, it has been included by UNESCO as a humanitarian heritage site, together with Argirocastro. It is one of the oldest cities in Albanian whose first settlements date back to the Bronze Age, and it is known as the “City of a Thousand Windows” as its houses descend one on top of another. The sun is setting when we decide to continue following the route of Oshum to Çorovodë and from here we will be discovering the canyons that have been dug into the rocks by the river, creating a wonderful landscape. After leaving the Osum Valley and visiting the canyons, from the heart of the mountain to a hundred kilometers, we return to the sea and to one of the most famous archaeological sites in Albania. Apollonia is the city dedicated to the god Apollo. Founded by the Greeks and being faithful to Rome, earned itself the title of “civitas foederata”. Apollonia is not easy to reach, even though it is not more than a dozen kilometres away from Fier. The road is not in the best condition but the journey is definitely worth it; for its treasures, of course, but also for the poetic mood that the ancestral landscape can evoke. On the other hand, neighbouring Fier, seems to us to be the model for cities in Albania: it looks perfect on the surface but on side streets, it is “third world”. 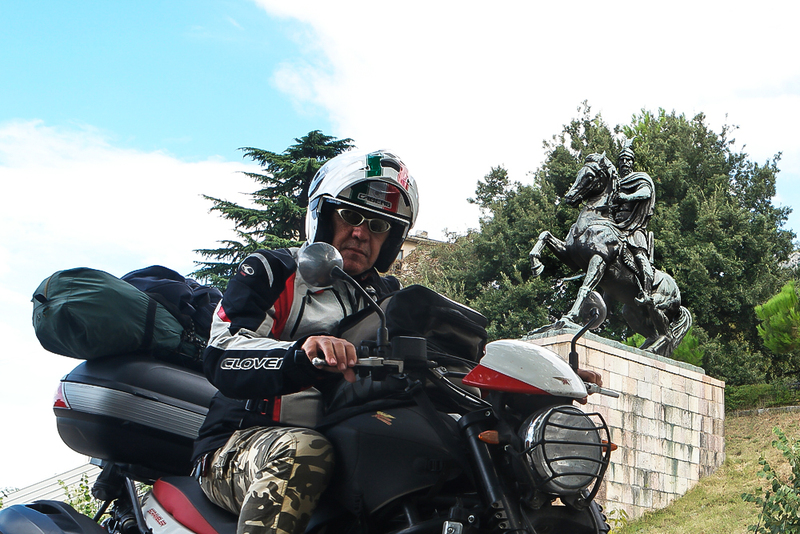 But that’s not an issue for us, we are not afraid of uneven roads, they are an incentive to continue ahead and discover what is in store for us on the journey to Valona, ​​the country’s old port, on the old and disastrous SH8, instead of the E453. 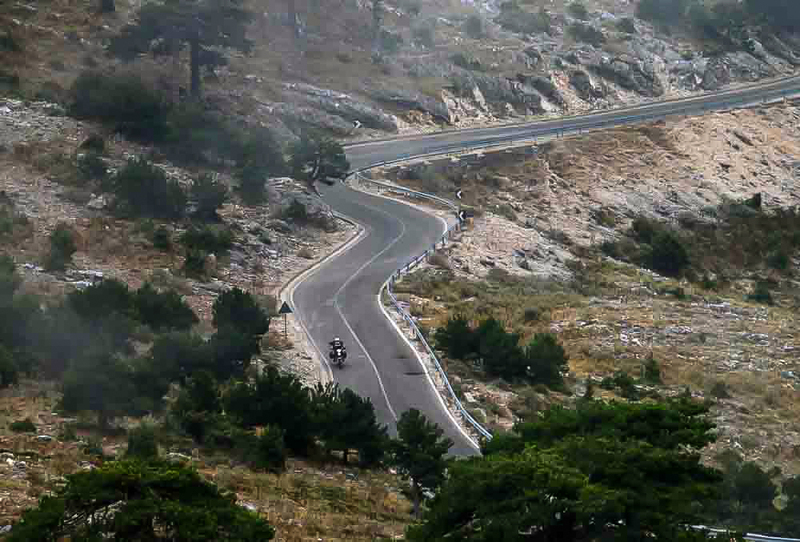 The latter with its four perfect lanes, would quickly take us to Vlorë. We love the landscapes and are amazed by them, but it is our meetings with local people, always helpful and kind, that fill us with joy during the journey. We do not intend missing Valona, ​​which we will be crossing the next day. We are astonished by the commitment of the Adriatic town to reconstruct most of its facilities such as the seafront promenade. The promontory of Zvernes is a magnificent and poetic construction extending between the sea and the lagoon. We can visit the island on which, surrounded by cypress trees dating back to the 13th century hides the small Orthodox monastery of Santa Maria that can be reached via a long, rickety wooden bridge, following a short ferry ride. The monastery is a discovery that is far from the tourist routes and therefore isolated in its tiny beauty. We go down to Valona, ​​trying to avoid the holes and bumps in the road. Surrounded by the Karaburun promontory, its bay has always been an excellent location for maritime activities, due to the safety of the harbour and its proximity to the Italian coast. 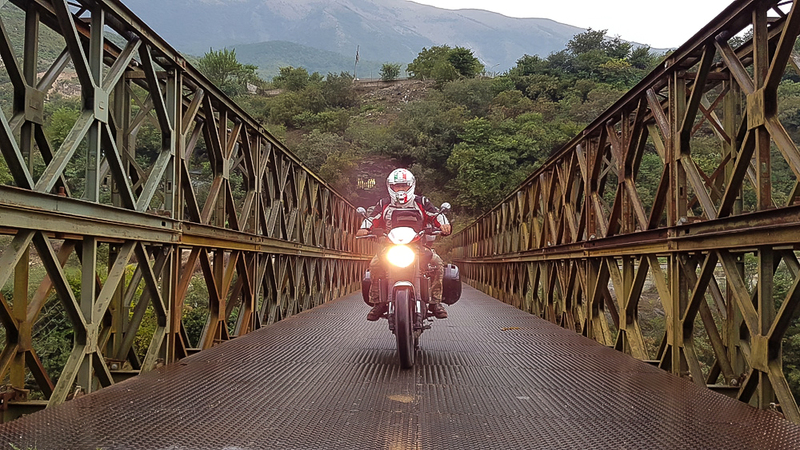 We ride along the coast all the way to Orikum, the ancient port founded by the Greeks in 700BC whilst passing countless seaside resorts along the way. 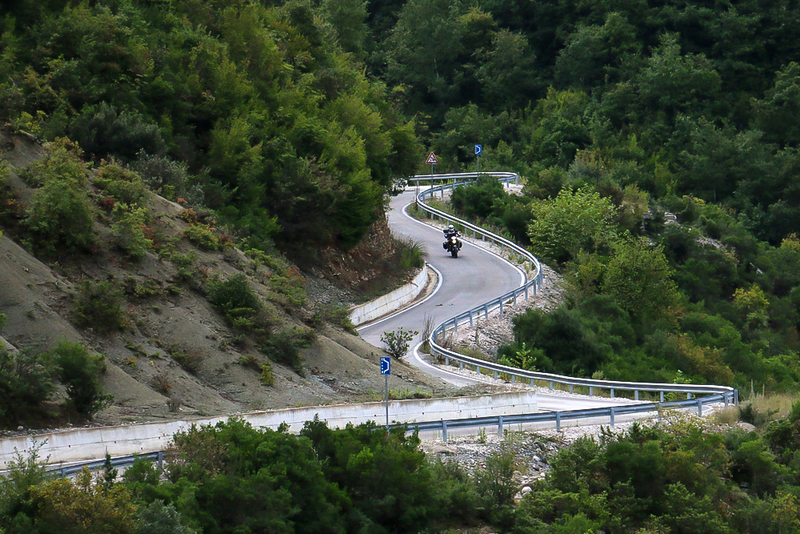 It is now time to leave the sea, at least for a little while, so we can explore the Albanian road loved by motorcyclists which climbs up the slopes of Mount Çika and we can finally enjoy some bends and curves. 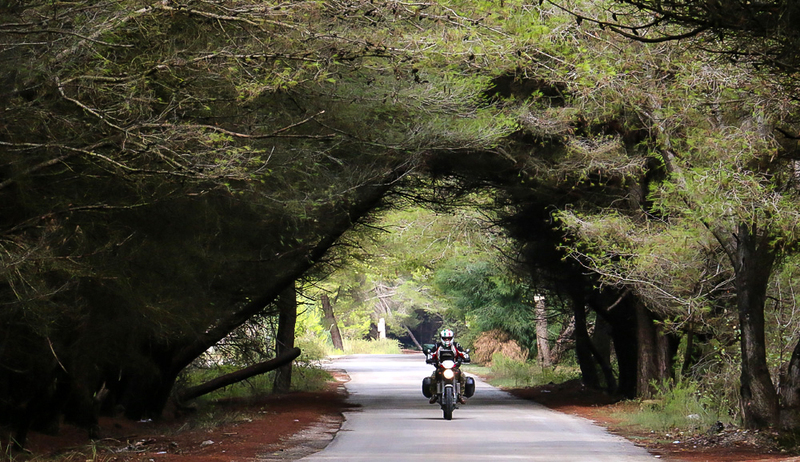 A road that was built by the Italians during the Protectorate period of the 1930’s and today is perhaps still the most evocative location in the country. 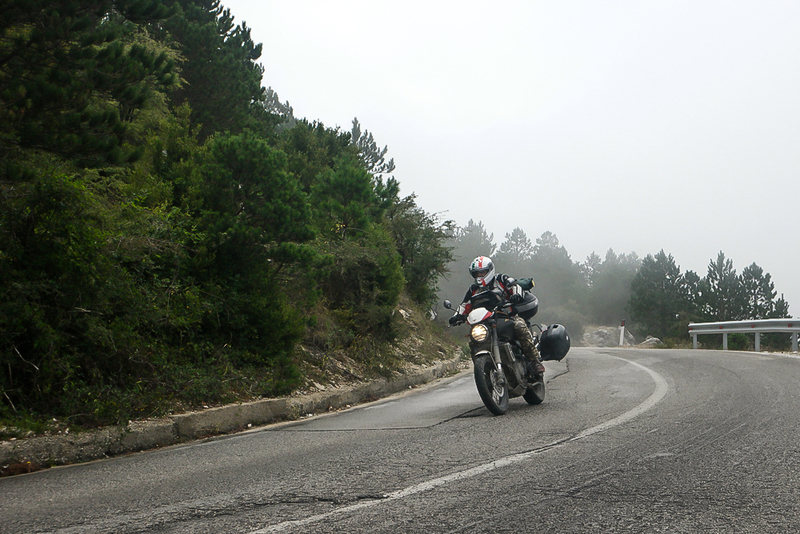 We cross the Llogara National Park, characterised by untouched nature where the summits of the Malet and Vetetime Mountains are often wrapped in cloud, running along an angled road that all too soon catapults the rider to the sea. 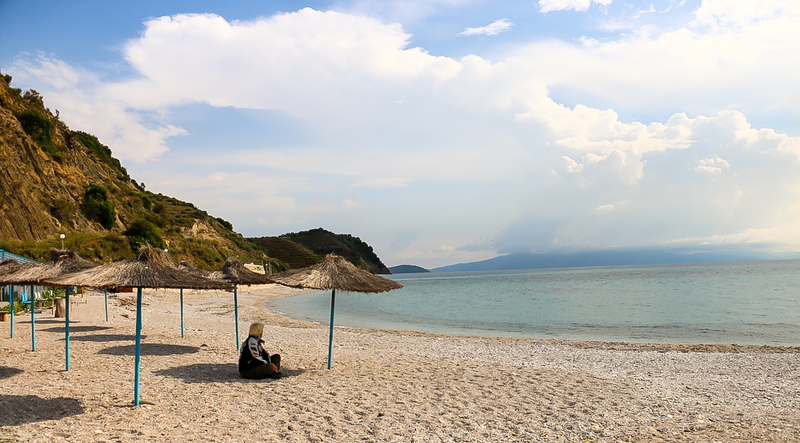 Dhermi, with its coves, Jala and Livadhi with their sandy beaches and hidden bays, Himara with its tourist resorts, one after the other…these are the pearls of the Albanian Riviera, simply referred to as “La Costa”. Places of great beauty, immersed in dense, unadulterated nature like Porto Palermo, a peninsula so called by Italian soldiers, built by Ali Pasha in 1818 and which houses an extraordinary fortress surrounded by the crystalline Ionian waters. Legend claims that the fortress was guarded as it was used to house the vast treasure of Alì Pasha, the tail of which is recounted by the author Dumas in his tale The Count of Monte Cristo. These are strategic sites, the 650-meter high and 12-gallon galleries are testament to it. Wandering in the heart of the mountains leading to a hidden submarine base and still being surrounded by armed guards. In less than 50km we are in Saranda. Being of Illyrian origin, Saranda is the capital of the South of Albania, the harmony and beauty of this coast continues with Ksamil, a magical idyll with its small islets that mirror a Caribbean sea and Butrint, which we are due to visit the following day. We wanted to extend our trip to the Eagle’s Earth for as long as possible. In Buthrotum (Butrint), which Virgil states was founded by Aeneas fleeing from Troy, we leave a piece of our heart. Not only is it a Unesco heritage site, but it is also the most important archaeological site in Albania, situated in a natural setting of rare beauty, a wetland shaped by a lagoon surrounded by wood, freshwater and brackish marshes, linked to the strait of Corfu from the Vivari Canal on which still stands one of the fortresses desired by Alì Pasha. The border with Greece is close-by, but we do not hesitate in making a U-turn to lengthen our journey. 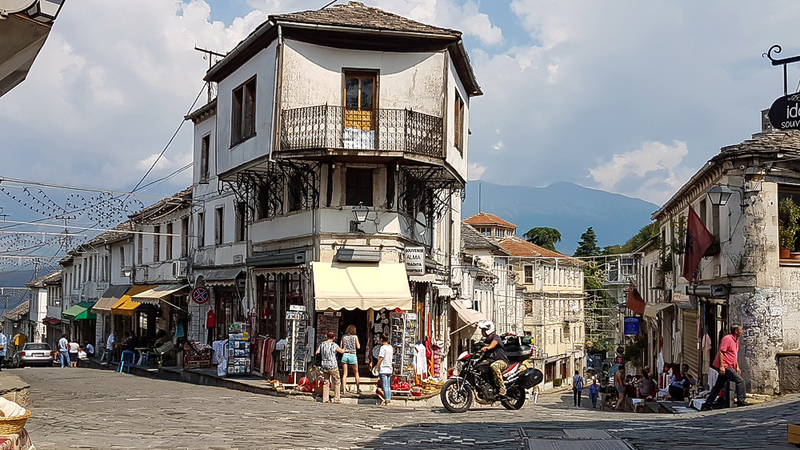 We are now heading northwards again to the city of Argirocastro (Gjirokaster), which with Berat is known for its extraordinarily beautiful artefacts protected by Unesco. Dominated by an imperious castle, known locally in Argirocastro as the “Silver Fortress”, visitors can stroll through the 17th century ancient bazaar. 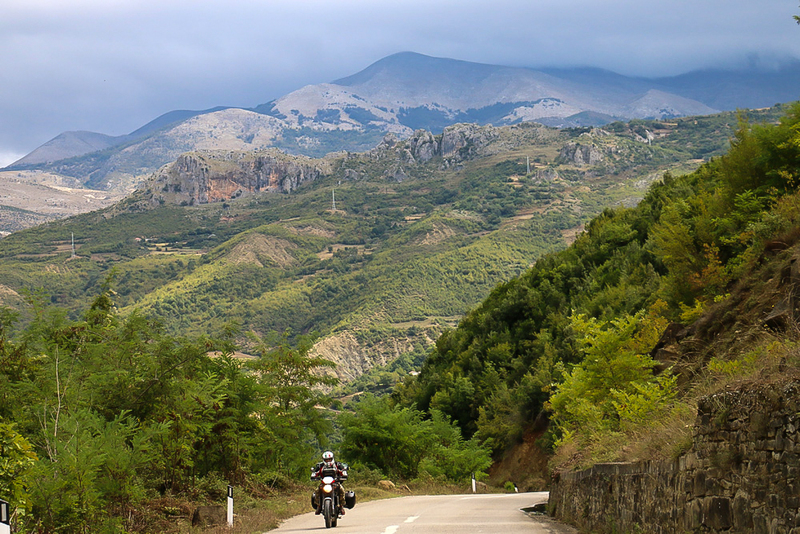 It is now time to return home, but on the last day of the trip we prefer to take it “slow” and climb up along the SH75 that runs along the river Aóos which is born amongst the Pindo peaks in Greece and becomes the Vjosë in Albania. It is certainly something we do not regret. The road alternates magnificent scenery with poor roads but not even the potholes can take away the pleasure of experiencing the extraordinary nature of the valley. Scenery that continues to surprise us way beyond the boundaries drawn by men, enriching the uniqueness of a landscape like that of Epiro and which will accompany us first to Ioannina and then to Igoumenitsa where, waiting for us is the ferry to take us home.